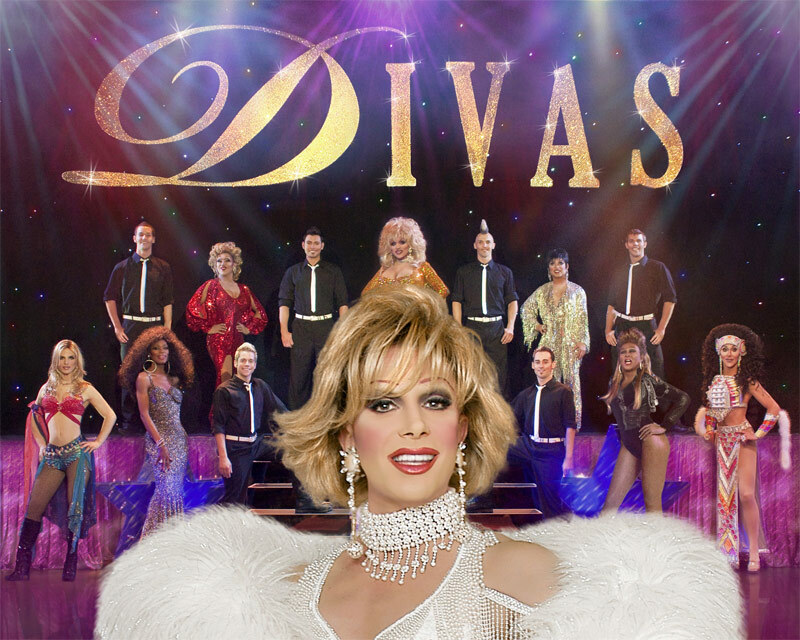 Divas - this 75-minute energetic show starring Las Vegas' longest running headliner Frank Marino as comic icon Joan Rivers features an all star cast of superstar female impersonators who not only recreate but almost uncannily duplicate the likenesses of stars ranging from Britney Spears to Cher and Diana Ross to Beyonce even Madonna and Dolly Parton have been known to stop by. 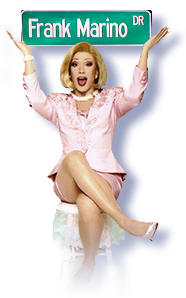 Meanwhile, Marino in his role as the show's emcee and star changes between every act bringing an international whirlwind of couture to the stage with each spectacular entrance. Marino always knew he would become a star, even as a small child, growing up in New York. What he didn't realize was that he'd have to be dressed up in glittering Bob Mackie gowns, and strapped into towering Manolo Blahnik stilettos to do so. And that's before he gets into his makeup, wigs and jewelry! "The ladder of success was even harder to climb wearing high heels!" Marino wittily quips. Like a fine wine, Frank Marino keeps getting better with age. After 25 years as the star of "An Evening at La Cage", and never at a loss for words, Marino is an accomplished author, newscaster, columnist, spokesperson, and America's favorite male actress. His first book, His Majesty, the Queen, was an immediate bestseller. His movie debut in the film Miss Congeniality 2 where he can be seen co-starring alongside Sandra Bullock was a blockbuster hit as well. Not to mention his award winning guest starring role in the hit Off-Broadway play "Tony n' Tina's Wedding." In 2005, Las Vegas Mayor Oscar Goodman proclaimed February 1st, to be "Frank Marino Day." 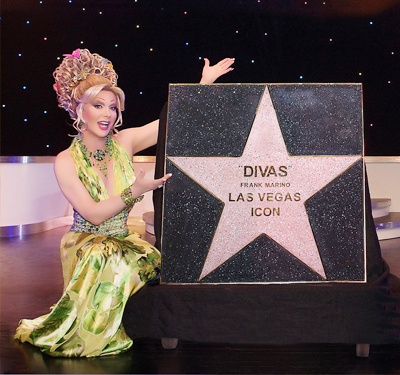 Frank also received a Key to the City, has a street, Frank Marino Drive, named after him, and is forever immortalized in the sidewalks of the neon jungle with a star that bears his name on the Las Vegas Walk of Fame. In 2009, Marino was named Las Vegas' "Entertainer of the Century" and after performing over 25,000 shows to over 10 million people, he is Guinness Book worthy of having the most performances on any Las Vegas stage. From the moment he steps on stage you realize that there is no other entertainer like Frank Marino. It's not just his campy voice, his smoothly electric performance, or even his impeccable selection of clever comedy material. It's his energy, which of course is the key to putting on any live show. And in the case of Frank Marino, Niagara Falls could take lessons.